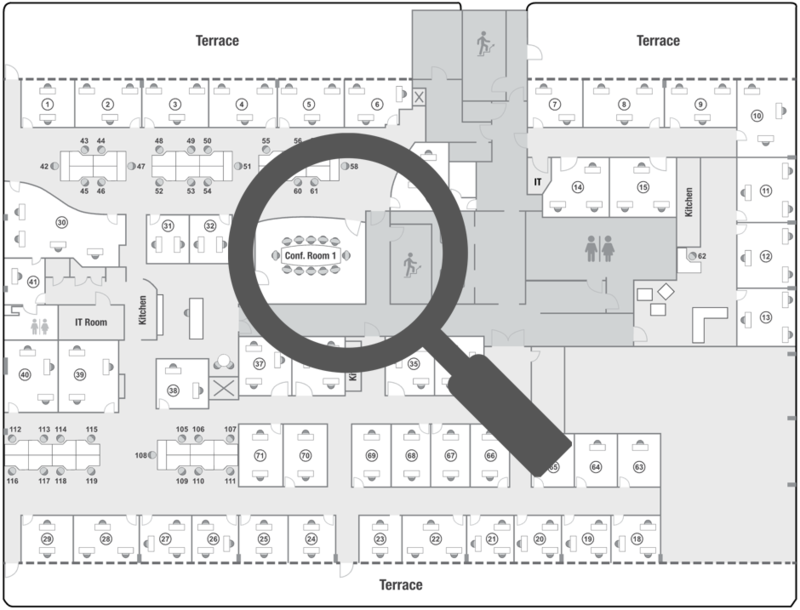 Click thumbnail to view interactive floor plan. Enjoy the benefits of our most economical private office. Works perfectly for 1 person or a 2 person team. Weather you need a place to work away from home, or you’re starting a new business on a budget, our 1 person dedicated Workstations are a comfortable and economical option. Frosted glass partitions separate the Workstations, so your privacy is maintained without compromising natural light and the open atmosphere.